Our event staff has decades of experience in planning and producing virtually every kind of event. Whether you’re hosting a book club meeting in a single classroom or a large, multi-room event, our staff can help you create a memorable event that makes the most of your time and money. We even rent on Friday and Saturday nights. Interested in renting a space at the Bender JCC for your next event? Contact Ellen Kraft at: 301-348-3840 or ekraft@benderjccgw.org. Interested in renting space in the Kreeger Auditorium, please contact Noel Kendall at 301-348-3774 or nkendall@benderjccgw.org. 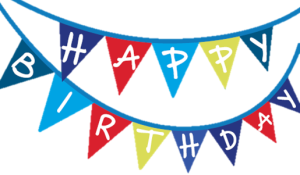 Bender JCC Birthday Parties are the perfect way to celebrate your child’s special day! From the set-up of your private party room to packing your car with presents – and everything in between – our dedicated staff is here to make your child’s birthday a day to remember! For more information please email birthdayparties@benderjccgw.org.